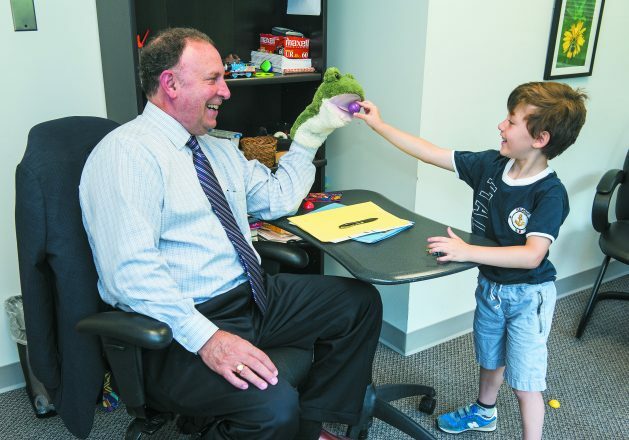 “The fun doctor” helps unlock the potential of young children with autism. 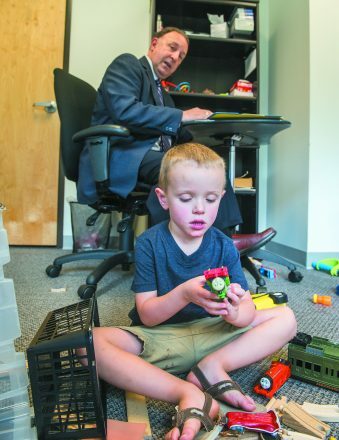 Dr. Richard Solomon interacts with Max Herbas, 5, of Philadelphia during an appointment in his Ann Arbor office. I find if I spend enough time on Facebook, I eventually see something really good. That’s how I discovered the video of Ben Gretchko delivering a commencement speech on June 4 at his graduation from Birmingham Seaholm High School. Ben’s commencement speech has made the rounds on social media and, dare I say, his four-minute address was far more meaningful than the Facebook posts of funny animal videos I scrolled passed. He was simply amazing. And inspiring. And popular — the video of his speech posted on the Autism Speaks’ Facebook page has amassed more than 2.2 million views. Ben has autism. He didn’t begin speaking until he was about 4 years old and, even then, according to his mother, Lisa Gretchko, “his words were unintelligible.” But to Lisa and Ben’s father, Steve, whatever Ben was trying to say was music to their ears because they were told to prepare for the possibility that Ben might never utter a word. What I couldn’t figure out is this: How did a kid like Ben grow from a nonverbal child with autism to an incredibly articulate and poised 18-year-old commencement speaker who recently had to decide which college to attend (because he got admitted to four universities!). How did that happen? I’ve known Lisa for many years; our parents were lifelong friends. 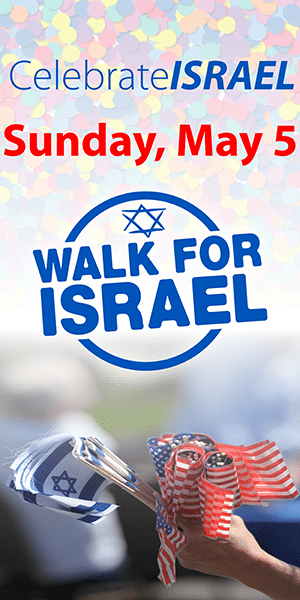 However, I didn’t learn the details about Ben’s miraculous journey until I called to wish her and Steve a mazel tov and to express how moved I was by their son’s speech. After a long talk, I suggested that Ben’s inspirational story should be shared with our Jewish News readers. Lisa and Steve had a suggestion of their own. It turns out that Ben already had, what the Gretchkos humbly considered, his fair share of post-speech media attention. In addition to the video of his address that went viral, WXYZ-TV named Ben its “Person of the Week” in late June. If Ben was to be the catalyst for additional coverage, Lisa and Steve wanted it to be for the greater good of the community — especially families dealing with autism. To that end, the Gretchkos recommended that I focus on the person who created the roadmap to success for Ben. He’s a man Lisa describes as “truly a hero among us” — Dr. Richard Solomon, M.D., medical director of the Ann Arbor Center for Developmental and Behavioral Pediatrics. Solomon, 68, was born in Ohio, but his Michigan roots run deep. He earned his bachelor of science degree in psychology from the University of Michigan in 1971 and his medical degree from Michigan State’s College of Human Medicine in 1981. He lives in Ann Arbor with his wife, Linda, of 45 years. They have two children and four grandchildren, all living in Ann Arbor. After reviewing Solomon’s curriculum vitae, 17 pages worth, it would be hard to imagine finding someone with a greater breadth and depth of knowledge in the field of development and behavioral pediatrics. Over the years, he’s worked alongside and was influenced by some of the most renowned visionaries in his field, including pediatrician T. Berry Brazelton, Dr. Stanley Greenspan and the late great Fred Rogers. 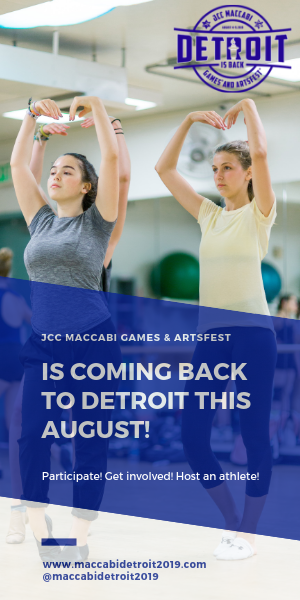 All these experiences laid the groundwork for Solomon founding his signature program — the PLAY Project, an early intervention program to help children with autism. PLAY, an acronym for Play & Language for Autistic Youngsters, represents an evolution in autistic therapeutic care. It was born out of Solomon’s years of research, diagnosing and treating children across the wide autism spectrum. At its core, PLAY relies on a Parent-Implemented Model (PIM) of therapy whereby parents (with the child present) are shown how to follow their child’s lead and receive intensive training and therapeutic modeling by a certified PLAY consultant who creates specific strategies unique to each child’s developmental needs. The PLAY consultant observes, supervises and videos each family engaging with their child in the comfort of their home. The videos are then analyzed and adjustments are made on an as-needed basis. Think of it as the parents being the captains of the ship and PLAY is the rudder, keeping moms and dads on course through the rough waters of creating a connection with their child. While the parents, the children and the PLAY strategies for a particular child go through a maturation process, one thing remains consistent for all youngsters with autism — the critical importance of early intervention. PLAY has evidenced-based science on its side. 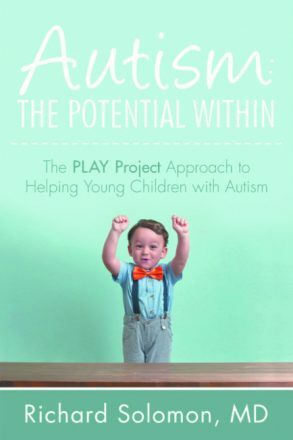 In 2009, after a three-year randomized controlled trial of the PLAY Project Home Consultation Model, funded by the National Institute of Mental Health, independent researchers from Michigan State University were able to confirm that the PLAY model was, in fact, yielding significant, positive results in the reduction of autism-related symptoms. Findings of the study were published in the October 2014 edition of the Journal of Developmental & Behavioral Pediatrics. To this day, it remains one of the largest, most comprehensive studies of its kind. To his patients and their families, Solomon is known simply as “Dr. Rick” or “the fun doctor,” whose prescription for success includes connecting and building trust among his often fearful and fragile young patients in a way that leaves them smiling and laughing. Getting down on the floor and playing with toys with a young patient is standard protocol. An initial visit with Solomon usually lasts around two hours, with families often leaving the appointment with a diagnosis and a plan of action predicated on where the child places on the autism spectrum. If the PLAY program is indicated, a trained, certified PLAY consultant is assigned to the family and the process begins. 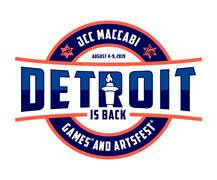 And, the great news is that PLAY therapy is not geographically limited to the Ann Arbor area. The PLAY project knows no boundaries and is growing on a national and global scale with more than 400 trained PLAY consultants in 30 states and nine foreign countries. The success of PLAY has made Solomon a sought-after speaker. He’s introduced PLAY to thousands of families and professionals around the globe and, most recently, spoke to colleagues in China this July. Because of the growing exposure of his groundbreaking work and reputation, referrals from outstate pediatricians and neurologists are not uncommon. Shanai and Zachary Muth are a case in point. Having learned about Solomon through their local physicians, they traveled from their Fremont, Ohio, home last month for additional support for their son Zayne, 5, who is currently nonverbal and about to enter his second year of preschool. It was apparent from my conversation with Shanai that she and her husband left their two-hour session with Solomon with new-found confidence and hope. For Ella and Marco Herbas of Philadelphia, it was research and not a referral that led them to Solomon and help for their 5-year-old son. Max, who Ella described as high functioning and absent of any serious academic problems, needed guidance for several behavioral issues and timing was of the essence. “I was worried about Max entering kindergarten this year and not receiving appropriate support for his attention, social skills and flexibility,” Ella says. While the Philadelphia area was not lacking in quality programs for autistic support, Ella was in a race against time. “To see a developmental pediatrician or see a doctor through the Children’s Hospital of Pennsylvania could take a year and I didn’t want to wait.” That’s when Ella began investigating other options. Currently, the cost of the PLAY Project’s early intervention program varies depending on the number of home visits. The key factor though is that the PLAY Project is a PIM (parent-implemented model) and costs a fraction of ABA therapy. It’s that dedication that has paved the way for the Ben Gretchkos in our world. Solomon and his wife, Linda, were in the audience with Lisa and Steve to watch Ben deliver his high school commencement speech on June 4. It was a proud moment — a rich reward for this extremely dedicated pediatrician. Dr. Solomon is the author of Autism: The Potential Within. Learn more about “Dr. Rick” and the PLAY Project by visiting playproject.org or calling (734) 997-9088. Ben Gretchko is now a freshman at Western Michigan University. See his graduation speech at https://youtube. 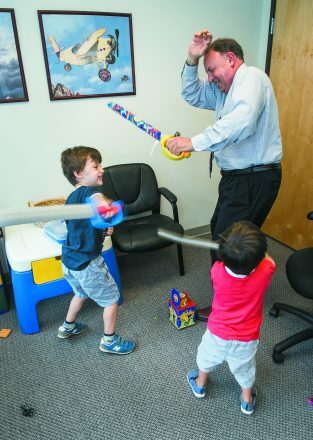 Max Herbas, 5, and his brother Adrian, 3, of Philadelphia have a sword fight with Dr. Richard Solomon in his Ann Arbor office. Dr. Richard Solomon observes Zayne Muth, 5, from Fremont, Ohio, at play. 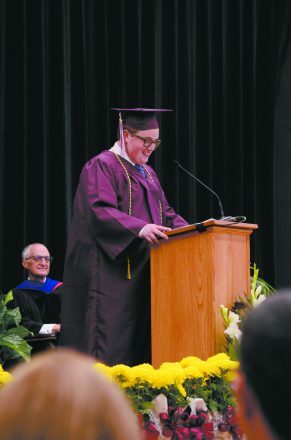 Ben Gretchko, a student with autism, spoke at his graduation from Seaholm High School on June 4. As of June 7, 2018, Ben successfully finished his first year at Western Michigan University with a 3.7 GPA. Check out this short documentary-style portrait video to learn more about Ben and his family, taking you behind-the-scenes as he prepared to give his big speech.